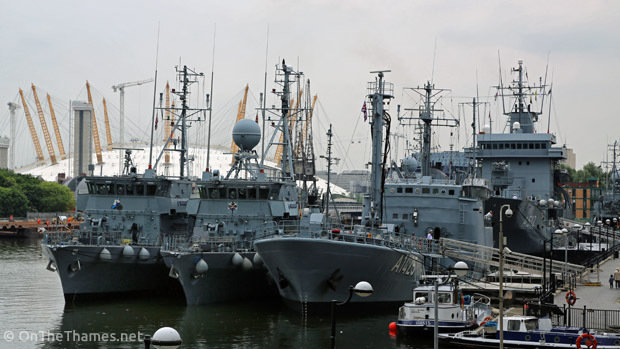 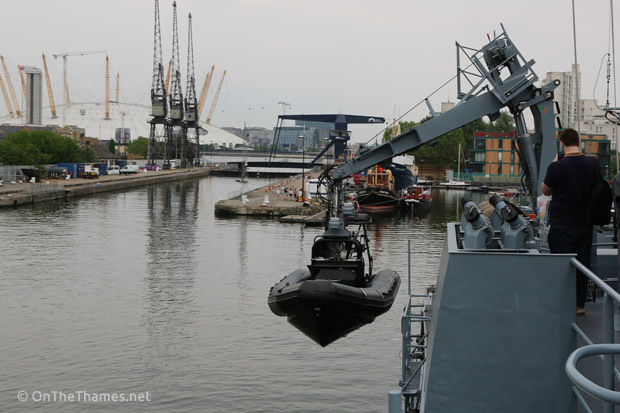 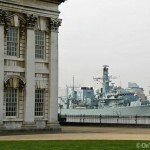 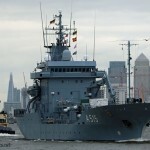 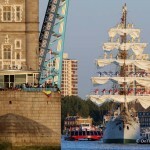 THE GERMAN minesweeper squadron that visited London over the weekend has now departed the capital. 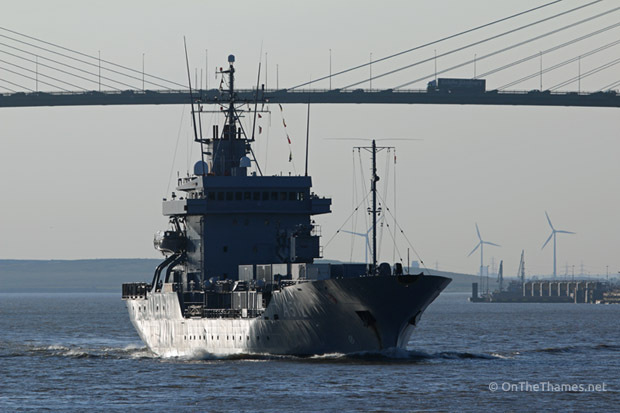 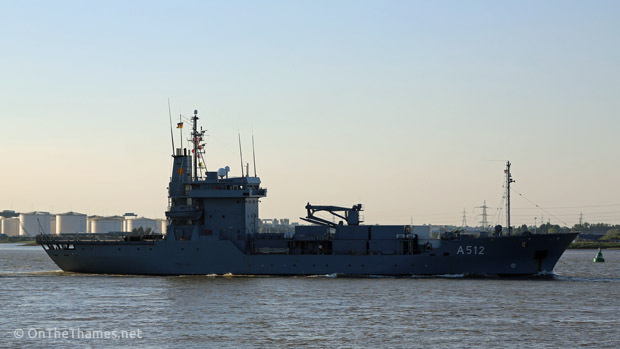 The visiting contingent included four Ensdorf-class Minesweeper vessels, four Seehund remotely controlled drone ships, the Elbe-class tender Mosel (pictured above) and Ammersee, a coastal tanker. 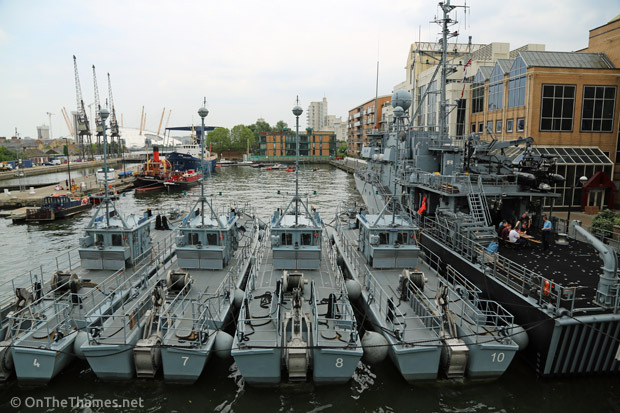 The departure of the fleet started last night and finished early this morning. 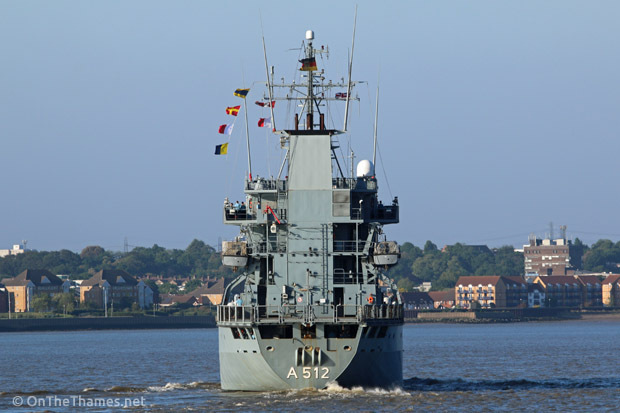 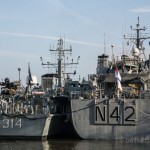 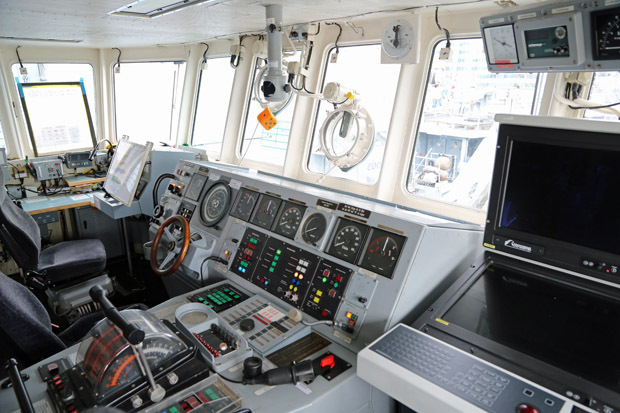 On Saturday, the German navy welcomed members of the public on board with the chance to look around the tender MOSEL and the minesweeper SIEGBURG. 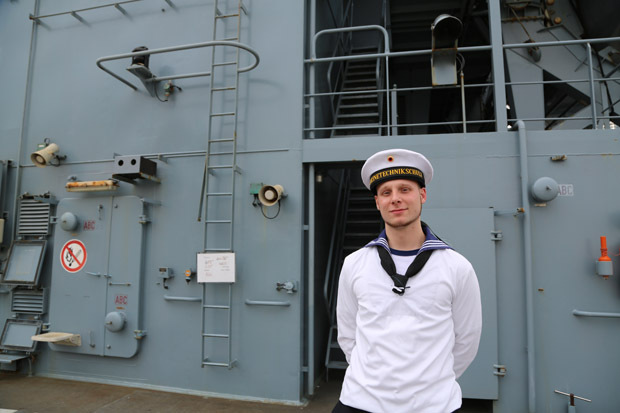 Crew members were happy to discuss their work on board the ships and answer questions. 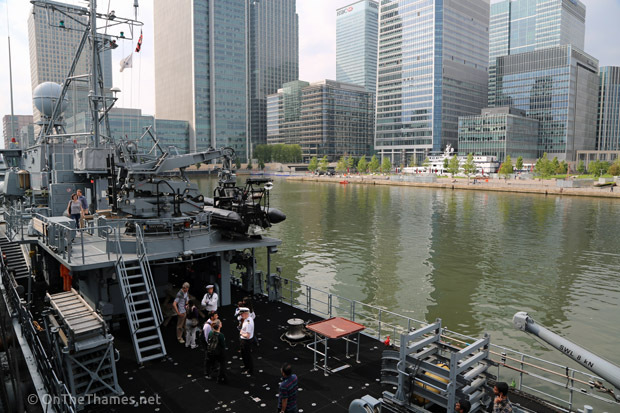 Many of them had been to Westminster on Friday to see landmarks like the Houses of Parliament, and walked down to maritime Greenwich in the evening, although one crew member said the highlight of his trip had been seeing the London Underground. 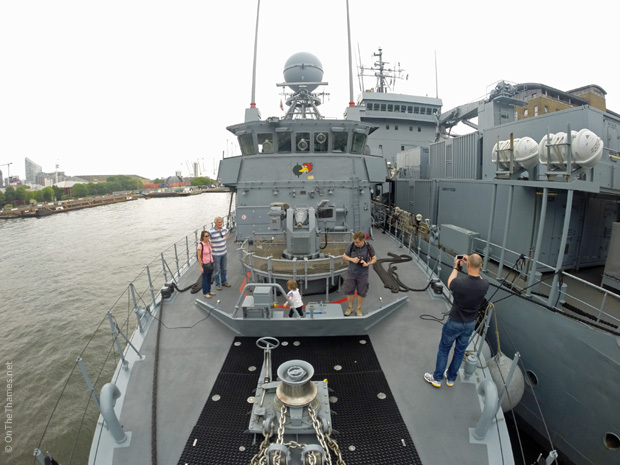 Four Seehund drones and a minesweeper as seen from the aft helicopter deck of Elbe-class MOSEL. 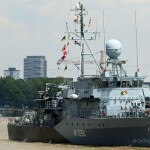 View of SIEGBURG from the ship's prow. 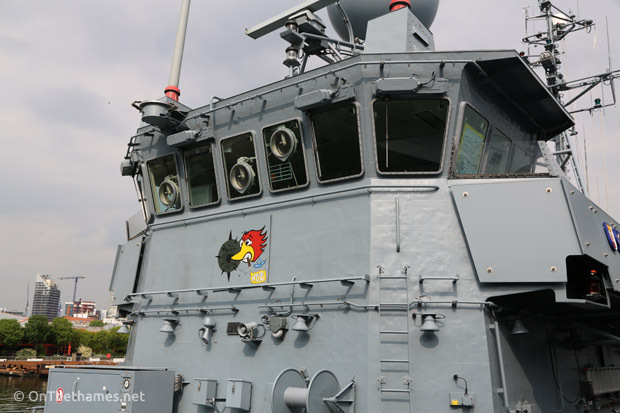 SIEGBURG - all of the Ensforf class minesweepers present had cartoon style emblems. 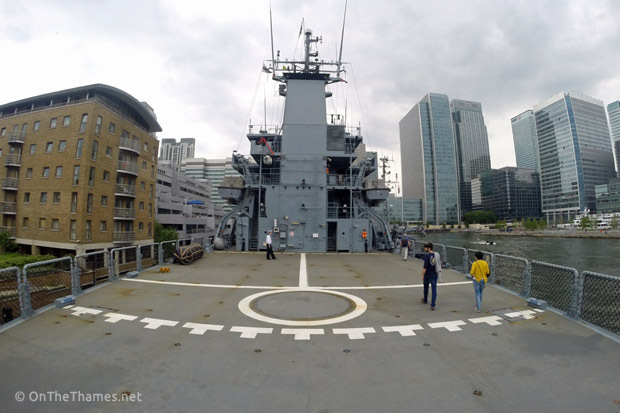 Many thanks to crew members for an excellent chance to look around these vessels.